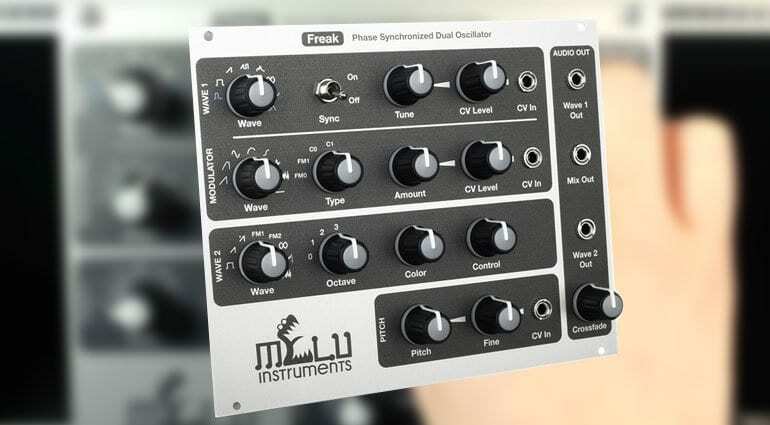 Melu Instruments believe they have released an unholy phase synchronised coupling between two digital oscillators. The resulting “Freak” layers up different sorts of synthesis and locks them to produce sharp and well-defined sounds. I’m trying hard to get into the weirdness implied by the Freak name, but it’s all sounding rather sensible at the moment. In a really good way. 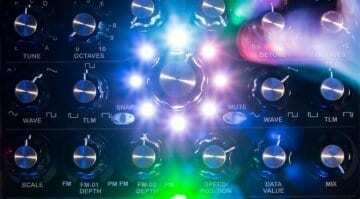 The idea is that when you are layering sounds from different oscillators they can often drift out of phase. This can result in less defined and softened sound. When using different forms of synthesis synchronisation between layers can become very difficult indeed. Freak has been cooked up to sort this stuff out. Freak has two digital oscillators that they call Waves. Wave 1 has the option of 8 regular waveforms with all the usual candidates. It then has a dedicated “audio rate” modulation section featuring a similar bunch of 8 waveforms with 2 FM modes and 2 parameter modes. Wave 2 has some more complex waveforms, each with 2 controllable parameters. With Pulse you have pulse width and phase modulation; Double Saw with mix and phase modulation; Mulitsaw with number of waveforms and spread; Gnarl and Whoosh with FM controls; Blip with phase distortion (I love a bit of Casio!) and FM; Noise Mod with FM noise amount and crossfade; and finally Noise with low and high filter cutoff. Both Waves/Oscillators have their own output as well as a third mix output. The phase synch can be switched in and out and there are 3 CV inputs to control pitch, the tuning of Wave 1 and modulation level. The aim is to provide sharp and defined sounds that mix different forms of synthesis. From the audio examples they do seem to have achieved that. There’s a large palette of sounds available here, including classic FM slap bass which, honestly, is a bit disconcerting – it causes me to have unwelcome flashbacks. 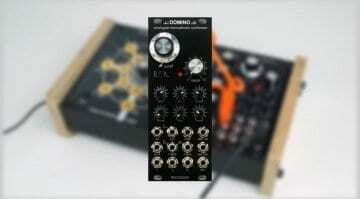 Melu wanted to come up with “Modern layered sounds from your modular” and I think they hit the spot. 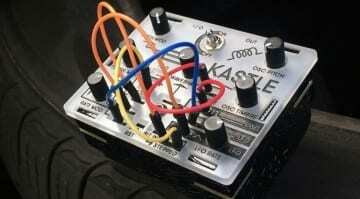 It offers something a bit different and well defined in your modular. 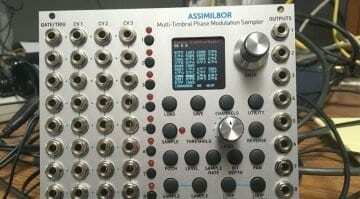 It’s a wide module for an oscillator at 31hp and could do with a few more patch points. I also think it really needs a more dramatic layout or paint job to live up to the “Freak” moniker. 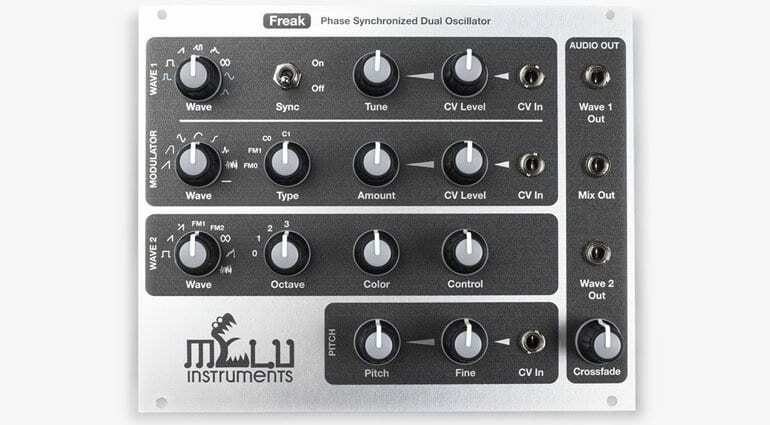 Freak is available now for €345 from the Melu Instruments’ website where you’ll also find more sound examples, details and the manual to look through.